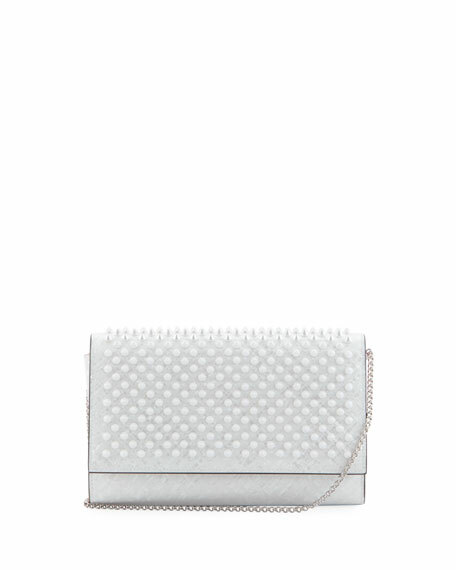 Christian Louboutin shiny textured calfskin clutch bag, covered in acrylic spikes. Removable chain shoulder strap, 23.5" drop. Spiked flap top with snap closure. 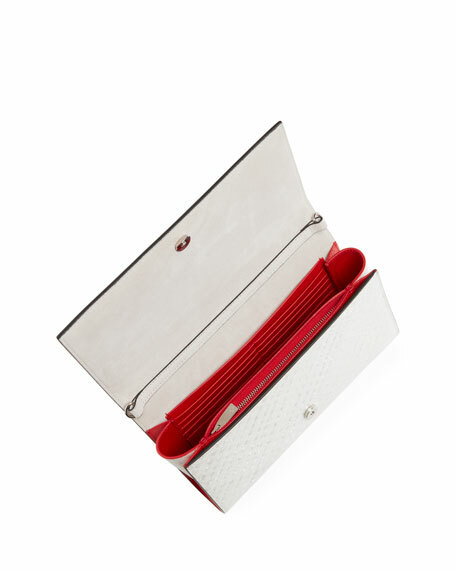 Interior, one bill and 10 card slots; one zip pocket. 5.5"H x 9.1"W x 2"D.
"Paloma" is made in Italy. For in-store inquiries, use sku #2562069.